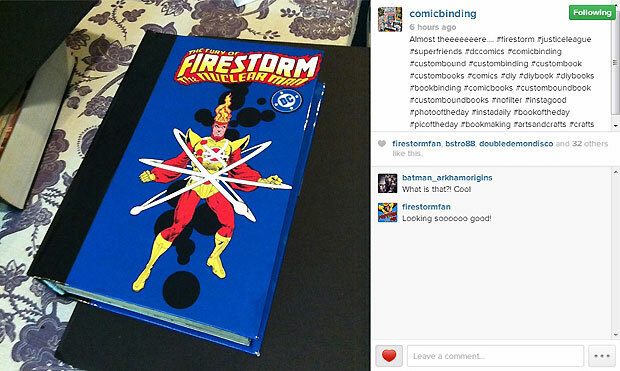 Over on Instagram, a user called “comicbinding” has been assembling an impressive custom Firestorm collected edition. When finished, the book will contain the first 22 issues of The Fury of Firestorm: The Nuclear Man (1982), plus Annual #1. Essentially it’s the Conway/Broderick collection. I am sooooooo jealous! Below is the finished cover! So gorgeous! 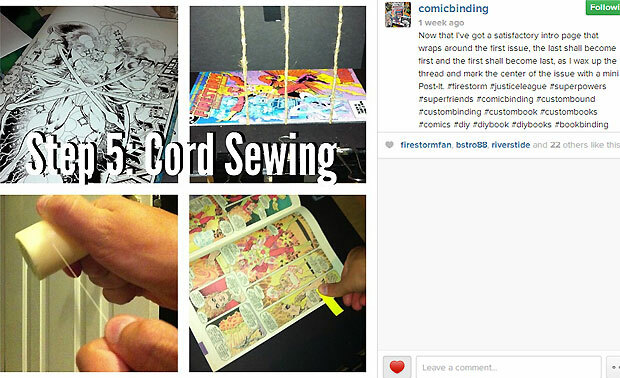 To follow the entire process, be sure to check out “comicbinding” on Instagram! Posted in: Comic books, Firestorm #01: Original (Ronnie/Martin), Firestorm comic vol. II, Gerry Conway, Pat Broderick. Back on the old Comic Geek Speak forums, there was a huge community of comic binders who initially used an outfit called Library Binding Company to do this sort of work. When they were acquired, they turned to a group called Houchen, and a few others. 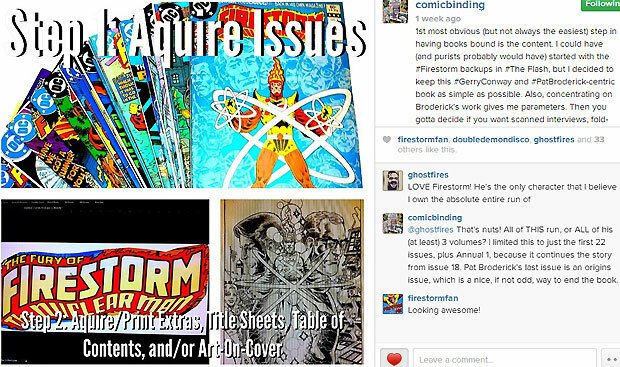 You can still take a look at their forum with the various threads… I don’t know if it has all of the posts from back when I was active on it but this is a great place to get more info on binding you comics. That is really, really cool! Man, I used to use my lack of wherewithal and creativity as the reason why I couldn’t bind my own Black Canary and The Ray trades. Now I have no excuse! Wow, that’s fairly awesome. I wouldn’t mind having that done with some parts of my collection.